LIBARAH – Just bcoz something’s toxic doesn’t mean its not tasty. Instant cucumber curry with no added onion, tomato🍅 and ginger garlic . Heat oil in a pan and add cumin, turmeric powder, and red chilly powder. Fry it for a minute and add one cup of water into it. When the water starts boiling add cucumber, cumin powder, and salt into it. Now close the lid and Cook the cucumber for about 10 minutes. Open the lid and add the boiled milk again cook the cucumber curry in low flame for up to 5 minutes. open the lid and cook the curry in high flame for 1 minute then Switch off the flame and garnish with coriander leaves. Paneer tikka masala is an Indian dish of marinated paneer cheese served in a spiced gravy. It is a vegetarian alternative to chicken tikka masala. ½ tsp red chilli powder. Mix the paneer into the spices mentioned above and fry till it turns into golden. Add onion,tomatoes & salt. Fry for 3 minutes. Cook covered till the mixture turns soft & mushy. Fry till it leaves the sides of the pan. Turn off the stove. When it cools, blend with 1 cup water in a blender to very smooth. Fry cinnamon, cloves, cardamoms & bay leaf for 1 to 2 minutes. Saute ginger garlic paste till the raw smell goes away. Pour the blended puree, then add red chili powder. If needed pour ¼ to ½ cup of water. Cook until the gravy thickens & traces of butter or oil is seen on top. Let the gravy reach the desired consistency. Add paneer & kasuri methi . Mix & cook for 2 to 3 minutes. Transfer butter paneer tikka masala to a serving bowl. Garnish with cream, cubed butter & coriander leaves. Sambar is a delicious thick lentil soup that is nutritious and healthy. Vegetables like drumsticks, tomatoes are used along with fresh spice powder. It can be served with rice idli, vada, dosa etc. 12 to 15 shallots (or small onions) or 1 medium onion sliced. Pour 2 cups water & pressure cook the toor dal on a medium heat for 2 to 4 whistles. Wash and Chop all the veggies to 2 inch pieces. 3. Saute all the veggies in a tsp of oil or ghee until the flavor comes – for 3 to 5 mins. If using brinjal then saute it first for 3 to 4 mins to bring out flavor. 4.Pour 2 cups of water to a pot,and Cook the vegetables on a medium flame until soft. 5.Add water in a separate bowl & soak tamarind in it. 6.When the pressure goes off, mash the dal to smooth. 7.When the vegetables are completely cooked, add sambhar powder, turmeric & salt. Cook for 3 to 5 minutes. 8.Pour the tamarind pulp, filter if you desire. Meanwhile, heat another pan with ghee. Add mustard & cumin.When they begin to sizzle, add curry leaves, dry red chili. When the leaves turn crisp, off the heat add hing. Quickly pour this seasoning to the sambar. Stir well. Simmer for 2 to 3 minutes for the sambar to become flavorful. Bhajias, East African Snack, enjoyed especially in Kenya and Tanzania, a cultural import from the Indians dipped in a thick gram flour paste of spices, herbs and fried until crispy. 1-2 teaspoons spice cumin or coriander. In a large bowl combine gram flour, rice flour, ginger spice, pepper, salt and herbs. Add water a little at a time- enough to form a thick paste. Put potatoes in the same bowl, a small batch at a time and make sure each slice is coated. Heat up a large skillet with oil up to the ½ inch- medium-high heat. Fry the bhajias batches, turning once, until golden brown, about 3-4 minutes. Using a slotted spoon, transfer bhajias to a pan lined with paper towels. 1. Preheat oven at 180C and prepare molds. 2. Add butter, sugar and eggs one by one & add vanilla extract. 3. In a separate bowl, mix flour and baking powder and salt. 5. Pour into molds (to about 3/4 of the cup) and bake for 20 minutes. Decorate these easy vanilla cupcakes with buttercream and the topping of your choice. They’re super-simple to make and taste divine. YAY ❤️1 K ❤️ Followers!!! Rava dosa is a popular south Indian dosa breakfast recipe. basically, it is prepared with a combination of semolina and other flours. they are very thin, crispy, and tasty dosa. Grind the semolina in a mixer and add yogurt, wheat flour, and salt Make a thin batter using little water at a time and avoiding any lumps. The batter should have a pouring consistency. Heat the skillet on medium high. Pour the batter with ladle on the skillet in a circular motion. Keep pouring the batter till it covers the whole skillet.Sprinkle 1 teaspoon of oil around dosa. Cook Dosa over medium heat for about 2 minutes or until Dosa becomes golden brown. Then turn the Dosa using a spatula. Let Dosa cook for about 1 minute from another side. Dosa will be golden brown on one side and light color on other side. Thin and crispy Rava Dosa is ready to serve. Zabadi is traditionally served as one of a mezze style dips like (hummus)alongside warm pitta bread and salad. First, slice the cucumber into very thin slices, and then dice them. Place the diced cucumber in a bowl and sprinkle with salt. Garnish with a mint sprig and serve with warm pitta bread or vegetable sticks. How about a spicy, super moist cake with chicken?… A best tea time cake snack ever with handy ingredients. I made this cake with some chicken and egg. Try this spicy chicken cake at home and enjoy with a nice cup of tea. You can also substitute mushrooms or vegetables instead of chicken. add two eggs,1 cup of oil,1 cup of all purpose flour,1 cup of milk,baking powder 1 tsp,2 garlic pods,vinegar 1 tsp,and salt in a jar. mix it and blend it. place a tawa on a stove,place a non stick pan over it. pour some oil and pour the half amount of batter and cook for 4 minute for being closed. remove the lid add the masala mix evenly over the batter and add the remaining half portion and garnish with coriander leaves above it and cook for 20 minutes after lids closed. Check occasionally.When done transfer to a plate and let it cool. Once cooled cut into desired shapes. This easy simple sauce is a great dip for any chicken fries , nuggets & kebab’s. In a small mixing bowl or in a food processor combine yogurt, fresh cream, lemon juice, garlic, and salt. Mix well. Serve immediately, or cover and refrigerate for up to 5 days. Comment your suggestions below and share with your friends and family. A homemade cheese sauce made with butter that’s great for drizzling over nuggets and any fries. Click here to know my mc nugget recipe. Stir in the flour and cook for 1–2 minutes. Simmer gently for 8–10 minutes and season with salt,oregano and pepper. Master the chocolate cake with an airy, light sponge and rich buttercream filling. This Best Fudgy Chocolate Cake is coming at you just in time for your Christmas feast! May this festive season sparkle and shine, may all of your wishes and dreams come true, and may you feel this happiness all year round. Merry Christmas🎄!!! Click here to how to make chocolate syrup.Already posted in my dip and dip special. 4.Make berry syrup. Boil 1 cup water and add berries and sugar into it. Boil until water becomes half a cup. 5.Make cream. Add whipping cream,butter and powdered sugar until stiff peak form. 6.Assemble the cake and decorate with chocolate syrup,strawberry and whipping cream. Today let us know how to make a super soft sponge cake/butter sponge cake recipe by cooked dough method!!! Many of my friends do not have measuring cups at their home. so they requested me to measure the quantity of the flour and sugar by the tablespoon. So here I am given the measurement in a tablespoon. Separate egg yolks and whites in a bowl. Heat the milk and butter over low heat. Once the butter is melted in the milk, take it out from the stove and add sugar, egg yolks, and all-purpose flour give it a nice mix and keep it aside. Now fold the white batter into the yolk batter. Don’t over mix just give them a nice fold. pour enough hot water in a larger pan and place the cake pan over it.no need to preheat the oven.bake for 45 minutes at 150-degree Celsius. Prepare the whipped cream. Pour the heavy cream into the chilled bowl and use an electric or stand mixer to beat the heavy cream on medium-high speed until the cream starts to thicken. Slowly add the powdered sugar and continue beating on high speed until stiff peaks form. Spread it on the top of the cake. Turn the heat under the double boiler on to low. As soon as the chocolate chips begin to melt immediately, Stir constantly until the chocolate chips are almost completely melted, then remove them from the heat and decorate it. Shrimp and mushroom masala in easy steps!!! In a large skillet or wok, saute prawns in a butter for 1 minute or until shrimp turn pink. Now take the prawns and keep it aside and sprinkle some salt &pepper on it. Now in the same pan add onions, ginger garlic paste, mushrooms, and all the spices and stir-fry for 1 to 2 minutes longer. Finally, add in the prawns and cook for 2 minutes. now switch off the flame and add lemon extract &garnish with coriander leaves. Chicken wraps can be healthy or unhealthy, it all depends on how you make them, what extra ingredients you add and what type of diet you’re following. Here I’m doing this chicken wrap with very simple ingredients. come let’s get started!!!! When the oil is at the right temperature, add the chicken and cook until golden brown, about five minutes. Drain the chicken on paper towels when done. Heat a pan over medium heat. Add one of the wraps and let warm up for a few seconds on each side. Repeat process until all the wraps are warm. To assembling, take one wrap and add two of the fried chicken, mayonnaise, mustard paste, tomato ketchup 1/4 of the chopped tomato and spinach. Fold the wrap and then cut in half crosswise to serve. This hot and fragrant masala is easy to make and a wonderfully unique preparation of squid. Add green chilies,and saute. Add all the spices, tomatoes and salt, mix and cook till the tomatoes turn soft and pulpy. Dont forget to like and comment your thoughts. Rice is a yummy gluten-free ingredient that tastes wonderful by itself, or it can be transformed into so many different dishes, from many different cultures. but, if you happen to love salty, bold, and vibrant flavors, I have a little secret to share with you. Instead of adding other spices, try cooking egg rice with chicken stock. Cook the rice and then drain, spread it out to steam-dry and set aside. Now add chicken stock and crack an egg onto the pan, and wait for it to cook just a little bit. just kind of scramble them and make sure there are little bits of egg. when the egg is cooked, move it into a bowl. add rice to the bowl and sort of mix it just so that the egg and rice are no longer separated. Hope you all doing well 😍. If you’ve ever wanted to learn how to make fried rice, this recipe will help you in no time. To a large non-stick wok, add the oils, chicken, and cook over medium-high heat for about 3 to 5 minutes, flipping intermittently so all sides cook evenly. Add the peas, carrots, beans and cook for about 2 minutes, or until vegetables begin to soften, stir intermittently. 3.Add the vinegar & soy sauce and cook for 1 minute, stirring intermittently. 4.Push vegetables to one side of the skillet, add the eggs to the other side, and cook to scramble, stirring as necessary. Mmmmmm our yummy delicious chicken friend rice is ready to taste😋😋😋. I would like to thank zeesviews ,collectingpuzzles very much for nominating me for a Sunshine Blogger Award! Yes, I do believe in God. he is the one who can save me in any situation and keeps me happy in this world. cooking is my passion.I’m very much interested in cooking. 3. Do you think it is necessary to have a passion? Yes, passion is necessary for a man because, passion is very important to achieve a goal.passion helps us to stand on our own feet Without anybody’s help. 4. What would you prefer party or to be alone? I should always like to keep myself and people around me to feel happy.so I choose a party!!!! 5. Do you like dance? Yes, I like to watch dance programs on television. but I don’t know to dance. 6. Are you a health conscious person? I would like to do yoga. 8. If you are given a chance to change one incident in your past what would it be? Nope.i don’t wanna change anything in my past.I’m very happy with my past. 9. Are you satisfied with your life? Yes, I am very much satisfied with my life and I thank God for giving me this beautiful and satisfying life. 10. Any special sound you like? 6. Do you consider yourself a good friend? 9. Would you rather be rich or famous? One of the most common problem at female population nowadays is facial hair. This no one wants to have it. In this post, we are going to see the best solution to this problem. Hope you all doing well😍!!! First of all, I thank Rad gamer, daradgames.wordpress.com for nominating me for this blogger recognition award. •	Thank the blogger that nominated you and give a link to their site. •	Do a post to show your award. •	Give a summary of how your blog started. •	Give two pieces of advice for any new bloggers. •	Select at least 15 other bloggers for this award. As of my blog, I started with nil knowledge just for fun to pass free time. But that gives a lot of fun and happiness when we encounter success.i would thank my followers for encouraging me and supporting me and they showed me a real love. If u ask me a suggestion I would always encourage you to open a blog based on your self-interest category.As for me I kept forwarding all my post personally to my friends and it grew slowly and much important is that u forward to the friend who appreciates.But always encourage suggestions to improve. As I learned from blog is PRESENTATION MATTERS. And blog posts to be short and simple. If at all ur blog is intended to be business oriented or for sales, then a website will be great, not necessary to be paid website however many are doing business even with a blog. I love condensed milk, not only in desserts, but just to lick from the can. It needed 4 ingredients and a blender. 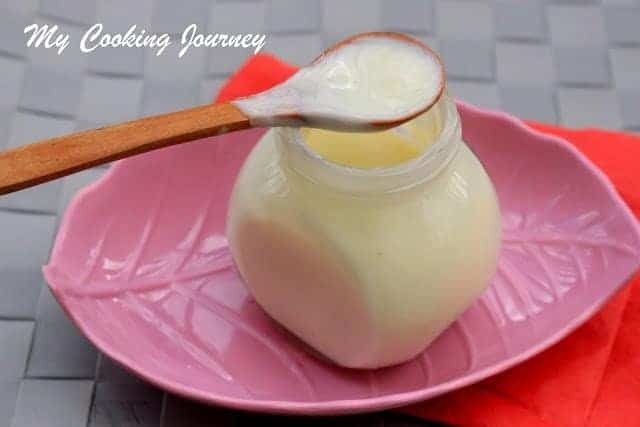 come let’s get into the condensed milk🤣🤣🤣lol. Place the milk powder, sugar and butter in a blender jar. Boil the water and add it to the blender jar. Mix once using a spoon. Blend for a minute on high until the mixture is creamy. Be careful as it could splash when blending. Start at low speed and then go up to high. Blend for about a minute and then carefully open the lid. You will notice that the mixture is nice and creamy. That is it! Your condensed milk is ready. Use it right away or store it in an air tight container in the refrigerator. I would like to thank https://mwsrwritings.com/2018/09/26/raka-award-nominations-award-share for giving me this award.thank you ohyestheydid.ca https://ohyestheydid.ca/2017/10/06/pumpkin-pie/for nominating me for this raka award. I’m so glad that this is my second award. Here are the rules are taken from the nominating blog! Living what you love rominascorner.wordpress.com. I like to be kindly and help anyone who is in distress. At home I am kind to my parents and my brother. When my brother, younger to me, has any difficulty in his studies I help him. I also take care of him if he falls sick. At school I am helpful to my friends and classmates. If anyone has forgotten their stationery I share what I have in spare.In my school bus, if someone is sick but does not have a vacant seat to sit in, I offer my seat to the person. When I am kindly to anyone, the person is thankful. I feel happy when I can be kind to someone and bring relief or happiness to them.I am also very thankful to those who help me when I am in a difficulty. My family and friends are always kind and helpful to me. Hope you all doing great!!!! Thank you all my lovely followers, likers, commenters, visitors and readers😍😍😍. This will not happen without you all, so keep supporting me!!! You can also use the same recipe to make chicken pasta in white sauce. Bring 4 to 5 cups water to boil in a large pot along with salt. When the water begins to boil rapidly then add pasta and cook. chop the veggies and set aside. Add half of the butter to a pan and saute garlic, vegetables and Set these aside. 5.Set the flame to low. Add rest of the butter to the pan and add flour. 6.Saute it in butter until the raw smell goes off.Pour 1 /4 cup of milk and Stir well. 7.When you see the flour is well blended with milk, pour rest of the milk and mix well. 8.Cook this until the sauce turns slightly thick. 9.Add cheese if using and gently stir until the mixture reaches a thick sauce consistency. Add oregano and pepper. Switch off the stove. Sprinkle some shredded mozzarella and bake for 10 to 15 min. Hope you all like this recipe. comment your thoughts and gimme a like and share with your friends and families.